This morning brings several multiple-murders to the Drudge Report. One: a US drone strike in Yemen. Two: a multiple shooting in Pennsylvania. Three: two children suffocated, presumably by an escaped python, in Canada. Four: a wave of car bombings in Iraq. Five: a car bombing in Syria. 1. Pluto opposite Pallas, near-exact. 2. 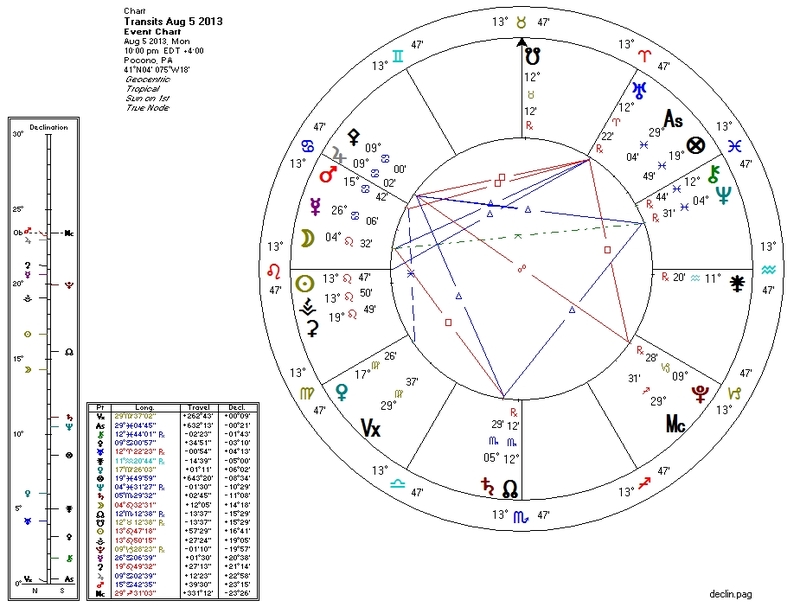 South Node trine Venus, and Venus approaching a quindecile with Neptune. 3. Pluto widely trine Venus. 4. Pluto widely quincunx the Moon and/or quincunx her her ruler the Sun. 5. Pluto widely quincunx the Sun.